What is in the vaccines? Vaccines help develop immunity by imitating an infection. This type of infection doesn’t cause illness, but it does cause the immune system to produce antibodies that help protect you from the disease in the future. Vaccines contain ingredients called antigens, which tell the body’s immune system to create those antibodies. 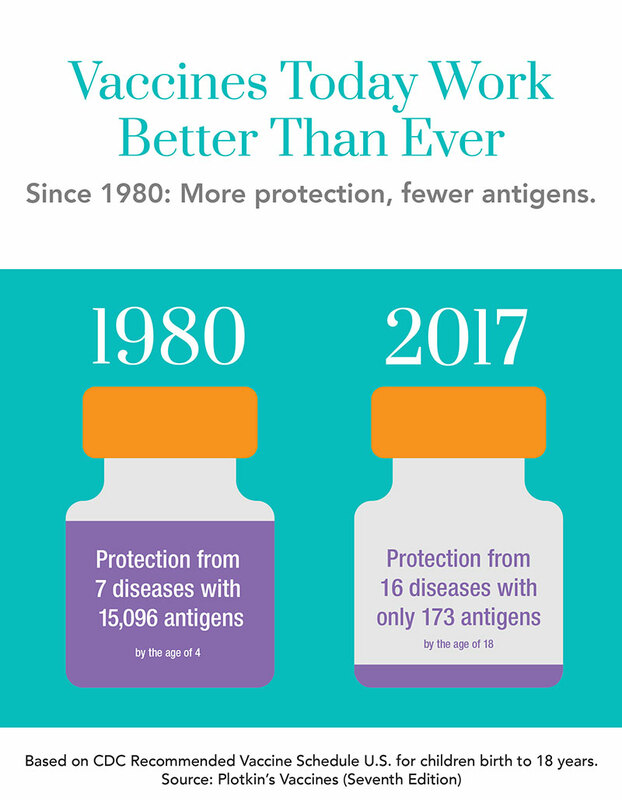 Vaccines also contain very small amounts of other ingredients—all of which play necessary roles either in making the vaccine, or in ensuring that the final product is safe and effective. While some of the names of certain ingredients may sound strange or even alarming, the ingredients are necessary and safe. Talk to your child’s doctor about any questions you have about vaccine ingredients. See our answer on vaccine ingredient safety here.